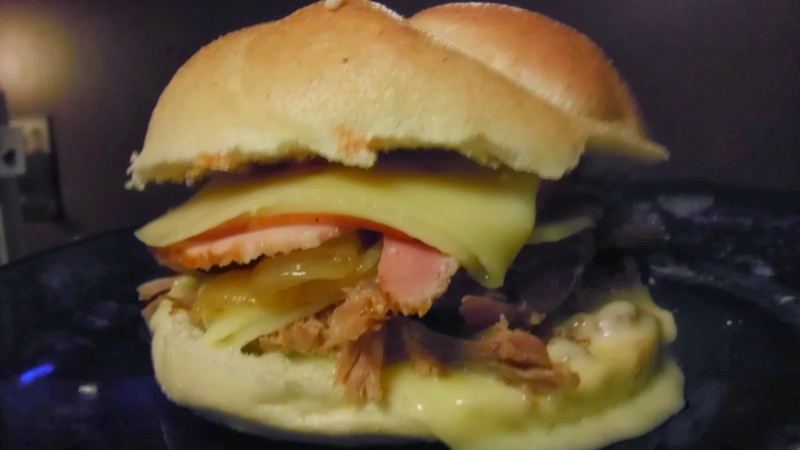 The cubano, or Cuban sandwich is a very defined, pressed (traditionally flat-bread) sandwich made of ham, pork, cheese, mustard and pickles from the country of Cuba. It's good, but there's something better: the Mexican version. 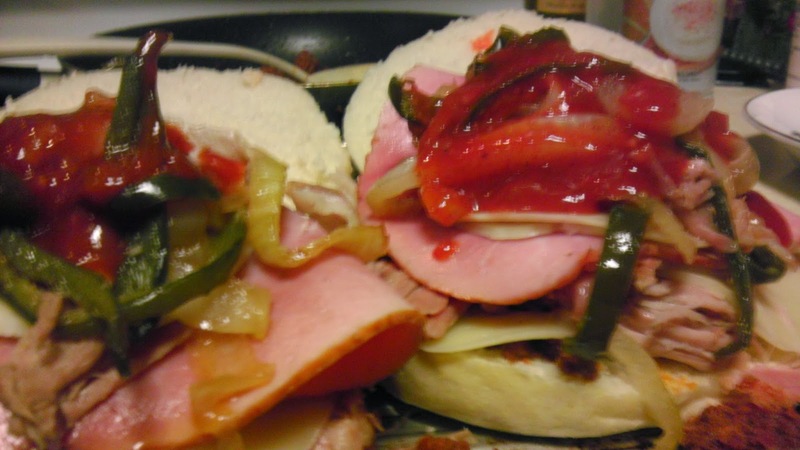 Called a torta cubana, this Mexican version throws caution to the wind, and says put whatever you want on me. It's a sandwich made from leftovers from the day, and then sold to drunk club goers after a night of dance. No single restaurant makes the same cubana, and some of these combinations have become revered trademarks of particular taquerias here in the United States and Mexico. So the other night after 11 hours of slow roasting pork, and not wanting to eat BBQ sandwiches again, I asked myself, "what can I make with this shredded pork?" The answer was a torta cubana. They came out delicious, and are so easy to do. What I like to do is fry some of the pork crispy in the olive oil with the seasoning. 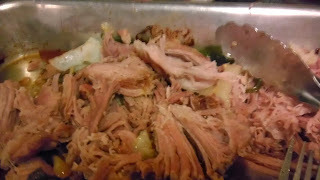 You can of course cheat on this step and buy prepared pork or chicken, or cook it in a conventional manner. Fried onions and poblano peppers. Assembly is straight forward, as I alternate between layers with cheese. I like to top mine with some hot-sauce. Finally I toast mine for a few seconds to melt the cheese. Feel free to spice it up a bit adding bacon, chicken, or other condiments.